Top 10 Fashion & Beauty WordPress Themes August-September 2016. Fashion & Beauty is one of the most popular topic for discussion. A snazzy designed fashion & beauty WordPress theme is all you need to stand out from the crowd. You can create an amazing looking fashion-connected website by selecting any of these professional themes. To keep pace with the times you should follow the main fashion trends. The most common trends in web-design are flat design, animation, intense colors, mobile first and others. Each template from this collection possesses a variety of useful and outstanding features. Web design trends of 2016 lean toward minimalism, that’s why you need to build an inimitable visual style. To choose the most suitable theme, pay attention not just on engaging look but also on functionality. These WordPress themes are fully responsive and deserve the highest score. Each theme differs from the other and can be adjusted to show your individuality. In order to optimize a website like a pro and to build a unique website, the fastest way is to install one of themes from this collection. We hope you’ll find ideal template for your beauty blog or fashion website in this Fashion & Beauty WordPress Themes list. Enjoy. 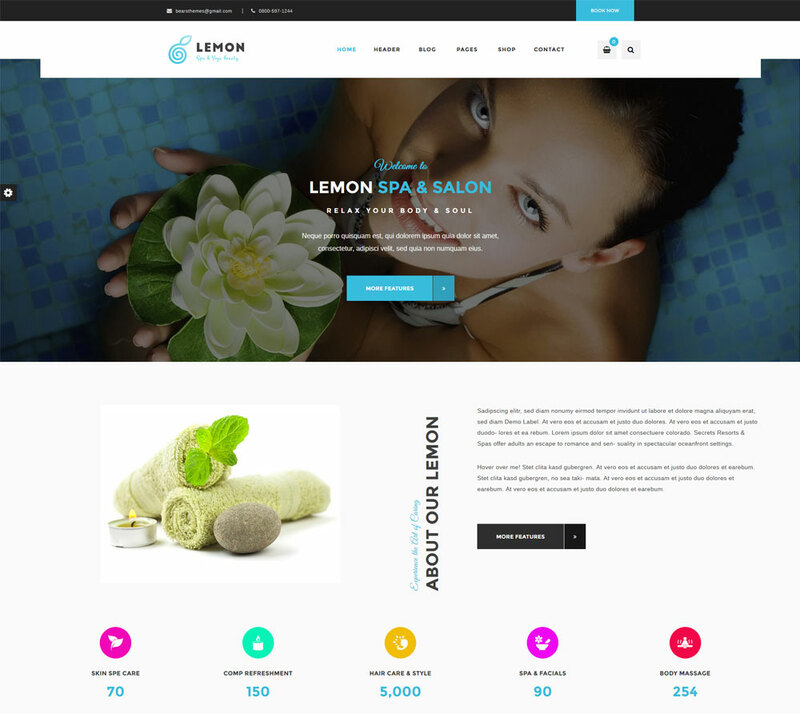 Lemon is a flexible, seamlessly attractive spa & beauty fully responsive multi-purpose WordPress theme. The theme has an appropriate kit of features, which makes this theme to be a perfect fit for different types of websites. It can be used for any topic of your WordPress WooCommerce theme. It is also designed for spa and beauty business because of special relaxed and tranquil atmosphere with elegant design and unlimited colors option. So Lemon is related with beauty, spa, magazine, fashion, health and other spheres. The theme enables to use a drag-and-drop Visual Composer plugin alongside the astonishing Revolution Slider, which will help you with building individual, colorful and stylish site the easiest way, without any coding knowledge. All you need to know about this template is that it has an easy-to-navigate menu, easy-to-follow content with best translation practices and it is WPML compatible. We hope you will have a great experience with this theme. LEVELUP is creative, clean, sleek, stylish and great looking multi-purpose WordPress theme with a modern, snazzy, eye-catching design that can be used in any business area. One of ready and suitable niches is fashion & beauty topic of the website, which you can use to build an incredible website within few minutes. This template offers tremendous number of features such as image and video slides, smooth CSS3 animations, elegant design with large images that’s content-heavy. It has support for premium plugins such as revolution slider and improved visual composer. You can also change 4 different header layouts with multiple options. LEVELUP theme proposes easy-to-use helpful intuitive admin panel, which is full of necessary tools and features. The slides function helps you create exclusive, colorful dynamic presentations to attract attention to your website. To all its advantages we can add fully integrated Woocommerce to easily sell your products, ready for translation to use it in multiple languages and 5 stars customer support.Try it now! 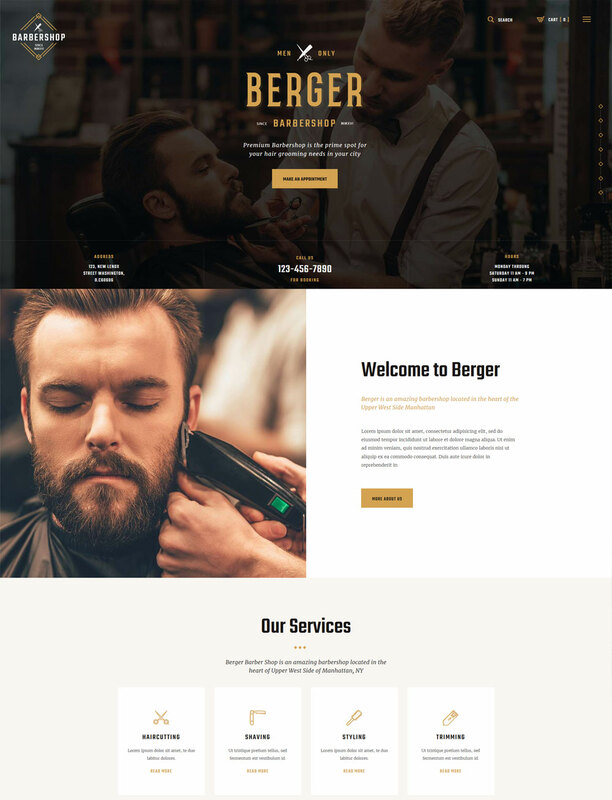 Berger is a very sleek and modern, feature-rich WordPress theme with classy and impressive design made for barbershops, beauty shop, and tattoo salons. You can easily customize this theme without any coding knowledge, for example, using shortcodes. Also visual composer plugin for drag&drop page builder will help you to produce a bunch of versions of homepage layouts. Highest professional support will be given by theme operators to answer all your questions. This template has a cross-browser compatibility and regular updates. Parallax visual effects, a significant amount of awesome hover effects and stunning CSS3/jQuery animation effects will capture the attention of your visitors. If you don't know how to rock your business, you should choose the right theme for your website with ideal suitable features. Booking plugin and online shopping with WooCommerce are essential features for beauty salons or barbershops. Appealing galleries will help you promoting and showcasing your services. This barbershop & tattoo WordPress theme is a great representative of right set of options. 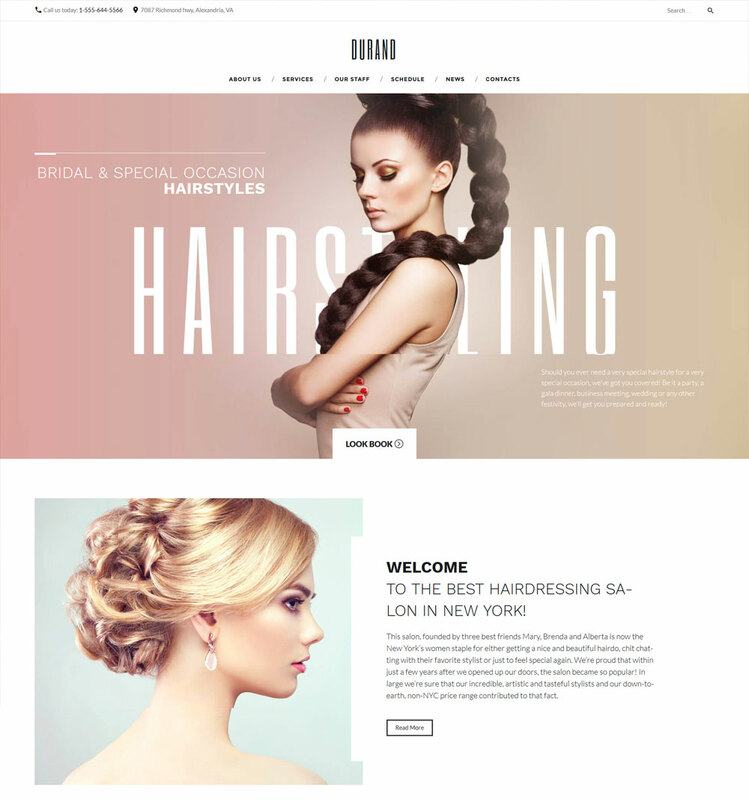 Durand is an elegant and lure WordPress theme for hair salons with stylish and tender design, which will help you to create something unique by latest web design trends. It is pleasant to the eye thanks to the design, which is carefully crafted and exudes refined elegance. You can use drag&drop page builder to create something special. This template is translation, multilingual-ready and SEO-friendly. It has content modules to add multiple content types that you can tune to fit your website style. Multiple layout options contribute to speeding up your pages building process with your favorite layout and use them to create future pages. Durand has appointment manager plugin, which helps your customers to book appointment easily. When you buy this theme you can use it on an unlimited number of domains with friendly support and lifetime updates. No doubts, these time-saving tools are in a top list of any web developer. 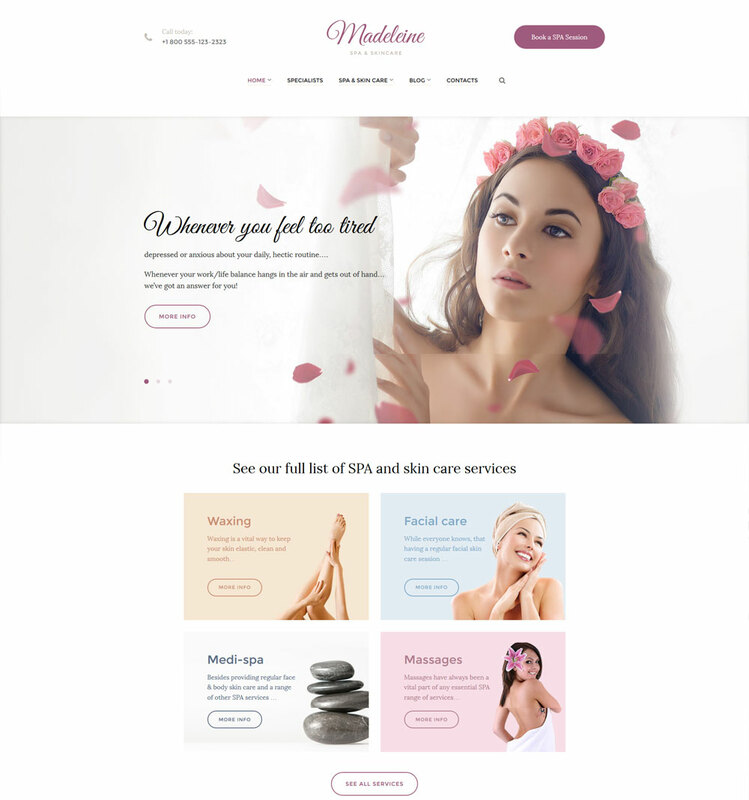 Madeleine is an unclutter WordPress theme which looks soft, made with tender and especially designed for spa, health & skincare related websites. This template looks excellent across all popular devices and browsers. It can be a good option to start a beauty-related blog or website. It lets you actually make your health & spa website your own gentleness, from fonts to color combinations and beyond. It comes with a powerful built-in drag-and-drop page builder, so you can customize the design in the fastest way without the need to touch any code. Madeleine theme is user-friendly and intuitive with all font, design, images and more. This template is WPML-compatible helping to test products multilingual capabilities. It is compatible with the latest version of WordPress (4.6.1) and gives the opportunity to choose from over 500 Google fonts and enjoy the design of your remarkable website. Madeleine theme is built with clean code and optimized for SEO. Christina is a minimal and stylish fashion & lifestyle responsive theme, which is perfect for setting up a magazine website due to an extensive library of typography, lovely gallery style and its modern layout. This template gives you an opportunity to create an easy-to-navigate website quickly. You will get three different category layouts with sidebar combinations, social media sharing (which has been easily integrated), SEO plugin to optimize your website for search engines, compatible browsers and more. Christina theme offers you Visual Composer plugin that brings in the drag-and-drop interface that lets you set up your page layout and content without much effort. The infinite loading functionality allows you to increase pageviews, which automatically generates higher return on investment of your website. If you are looking for the right and clean-coded WordPress theme that looks awesome on any mobile device of every shape and size, this template is for you. Just try it. 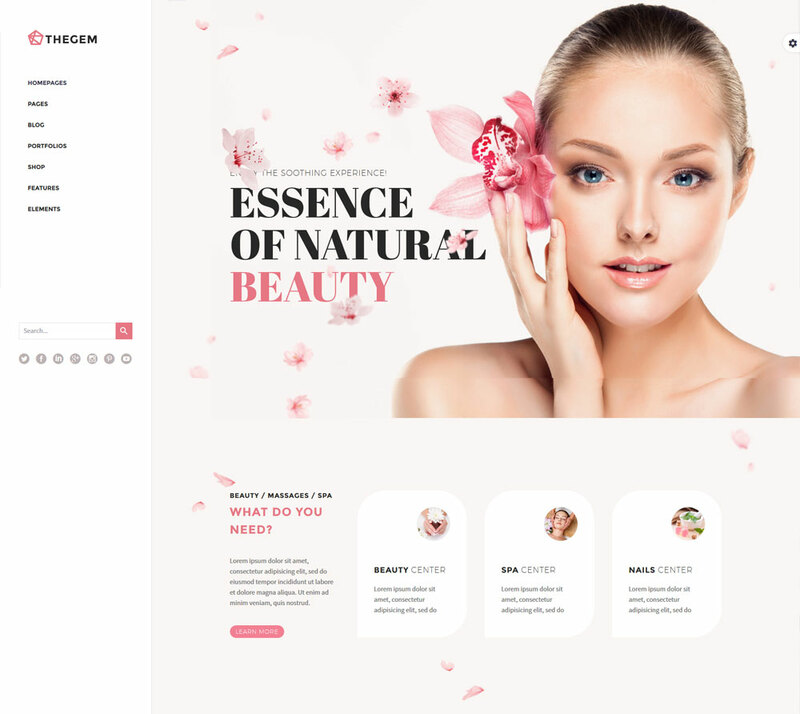 Serenity is a clean and nice spa & beauty responsive high quality WordPress theme with soft and exclusive design, which is suitable for spa salon, wellness complex or beauty sphere. This template gives you freedom to create a unique website with the help of shortcodes, which give an opportunity to change styles of your content. It gives the chance to use pre-built home pages, which can be used for imagination flow. You can employ WooCommerce integration because this theme gives you a possibility to create your store, which gives you a chance to sell products online with pleasure and ease. Serenity possesses a desired set of features, which consists of WPML compatibility (translation-ready), a number of plugins such as contact form plugin support, Revolution Slider to make different animation effects, Visual Composer to build an individual and significant website, without any coding knowledge and more necessary options. It is built on Twitter Bootstrap, and supports a bunch of shortcodes. 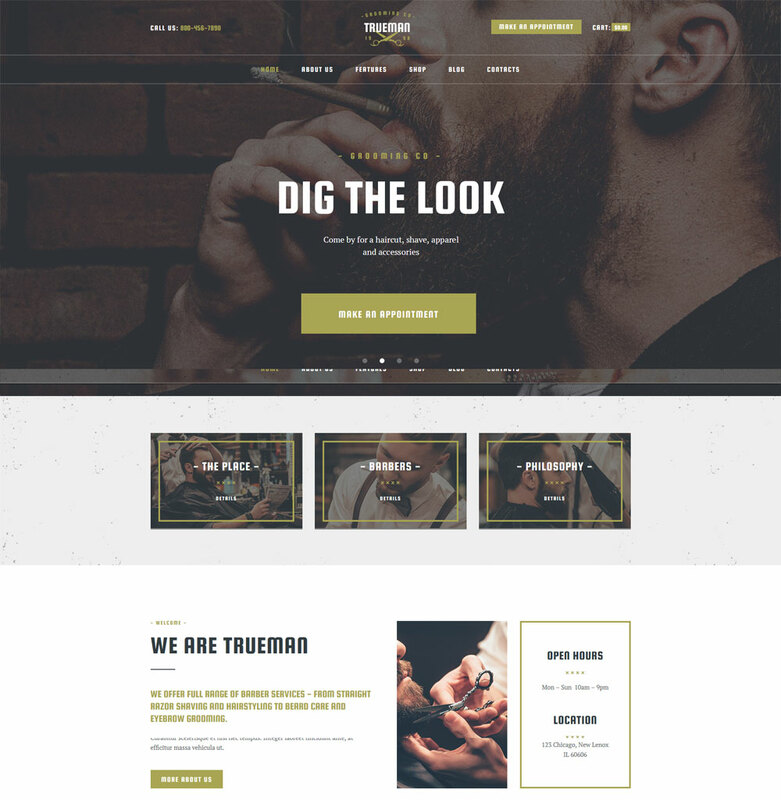 TheGem is an informative, feature-rich, versatile, light-weight multi-purpose WordPress theme with creative design that gives you an opportunity to uncover your potential and demonstrate your imagination with maximum creative freedom for you.This template is suitable for any purpose such as finance, online shops, portfolios, blogs, gyms, lawyers and so on. So you can use it for creating websites for fashion magazines, beauty salons, attractive blogs or whatever you want. It has intuitive design, which suits for online shop with WooCommerce compatibility. You can easily use shortcodes to change more than 250 combinable style settings or try parallax & video backgrounds and elegant animations to show creative mind. This template is sure fire follows design trends of 2016 and offers amazing portfolio layouts with devoted designs to suit your special needs. TheGem is ready to assist you with the integrated WooCommerce plugin suite, Contact form, WPML and RTL support with no coding knowledge required. Optimization for search engines makes TheGem a stride in google. 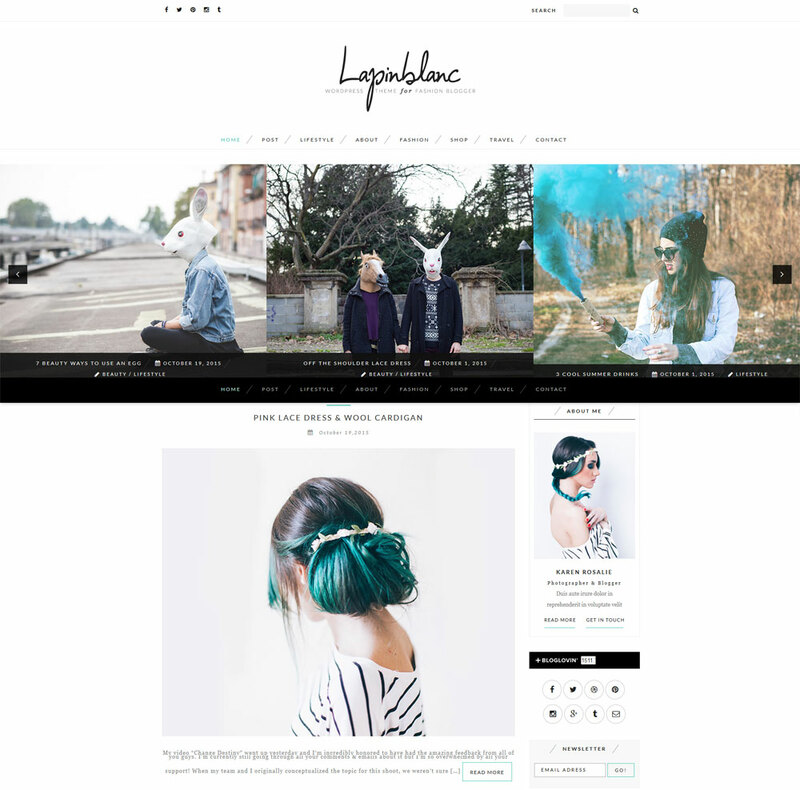 Lapin Blanc is a nice, flexible and simple WordPress theme with nifty and trendy design, which is suitable for fashion blog. This template offers unlimited colors and smooth CSS3 animation to focus on your content. With two blog options it is very easy to use. Another positive quality is extremely fast loading speed. Lapin Blanc is a perspective theme with full kit of features you may need such as 600+ google fonts, RTL support ( right-to-left languages), WPML supported (multilingual capabilities), cross browsers compatible and more. It is based on Bootstrap 3 to make front-end web development faster and easier. This theme is all you need to create an incredible blog with high quality content, which will only get bigger and evolve year after year. Your customers will have a possibility to share your great blog with help of their social media. Try Lapin Blanc and see for yourself! 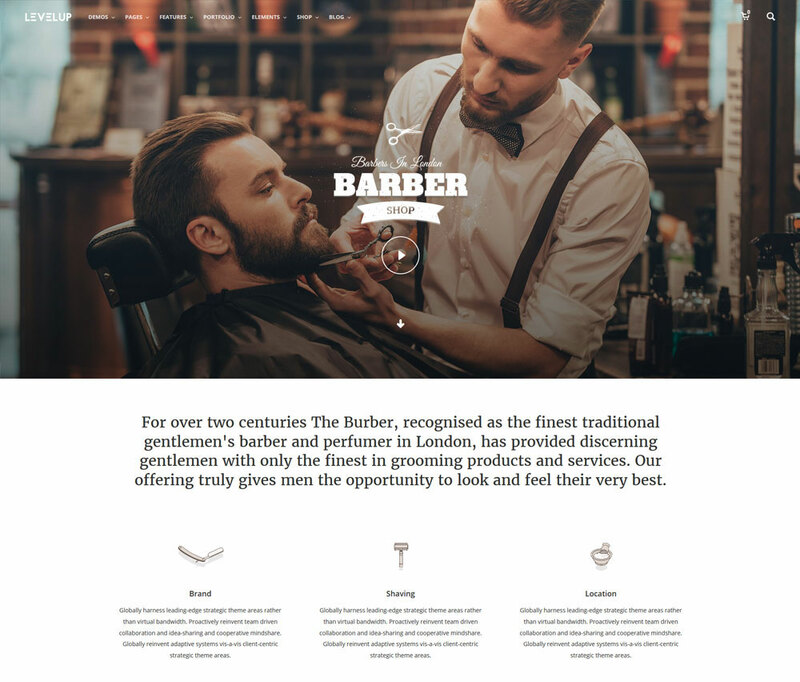 Trueman is a startling, modern, functional WordPress theme with stylish, classy design, created especially for barber shops, tattoo or hair salons. It is designed for beauty sphere and includes useful options for barber shop website or related areas. You get two homepage layouts, great professional support and other necessary options. The template is fully-translatable, so your website can work with international audience. Also it offers two astonishing sliders such as swiper and revolution slider. Trueman includes a significant amount of shortcodes and has clean, valid HTML5 and CSS3 code to help you keep up with the latest web standards.This theme also supports WooCommerce, which without a doubt will help you with selling your products and services. Appointment calendars perfectly complement this fascinating list of features. We hope you will find this theme perfect for you needs. Make your move with Trueman! That wraps up our list of the Top 10 Fashion & Beauty WordPress Themes August-September 2016. Would you like other themes to be featured here? In that case, send us your comments — we’d love to hear from you! Look at this gorgeous collection of Food & Restaurant WordPress Themes that will be a perfect fit for your food related business.